Superbowl hype. Every year it's also thought of as the Super bowl of commercials with advertisers spending millions to showcase their commercial, and often times their new marketing strategy or product launch. What shall we expect in this years game? Well, besides the game, here's a tee up of some of the advertisers who shelled out the 3.8 million dollars per 30 seconds. Jay-Z had creative input into a commercial in which he'll appear. Audi of America will run one 60-second spot, their sixth Super Bowl appearance in as many years. Their shop Venables, Bell and Partners are still working on the creative and production. Best Buy hired the much publicized Crispin Porter & Bogusky, to do the creative and social marketing. Cars.com will return with a :30. They're using new AOR McGarryBowen. Century 21 will feature their spot from Red Tettemer and Partners. Coke has let their polar bears drift out on an ice flow and are going a different direction for this year's game spot. 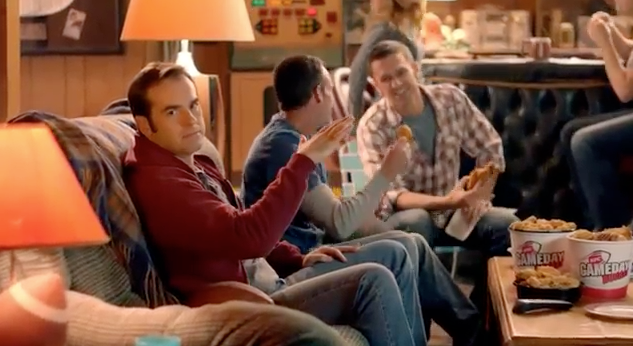 Doritos, for the seventh consecutive year, will run the winner from their annual best amateur-produced commercial. Ford will attempt to breathe new life into the Lincoln brand after an abysmal fall off since 1990. The spot is said to be featuring an Abraham Lincoln lookalike, vintage Lincolns, and famed historic Lincoln owners Clark Gable and Dean Martin leaning against front fender of the new MKZ through computer wizardry. GoDaddy is using new shop Deutsch New York to add a bit more maturity to their brand. Their frat boy approach has finally worn thin with new management. Hyundai and Kia will both be back this year along with Mercedes. Pepsi is sponsoring the half game show. And watch for the new Samsung commercial. It's produced by the longtime Apple creative director who jumped ship after the "Genius" campaign to Samsung's new agency 72andSunny. And finally, one of my favourites from last year, Volkswagen returns. But the dog will not. Tim McLarty currently works out of Toronto Canada as a writer/voice performer, producer and media strategist producing advertising and entertainment content. I read somewhere this week, that by January 10th most people have given up on the resolution they made on the 1st. But those first 10 days? An epiphany. This week's theme? New Years resolutions. And a fine commercial to start from Google, promoting their Google Play service. A great tag line for Planet Fitness; no gymtimination. I think this may have been the locker room of the Kardashians gym. Credits go to Red Tettemer + Partners. This spot is so silly and falls in line with the message that Planet Fitness avoids the "gym mentality". And remember, "bros know when they get their burn on." Here's a controversial stop smoking commercial from a few years back out of Sweden. This raised a lot of eyebrows and got considerable press. You'll see why after you watch it. And finally, this spot made me smile and plays off the ridiculousness of peer pressure. It's cleverly executed and the logic makes sense; in an icky sort of way. Here's hoping you have much creative excellence in 2013. Tim McLarty currently works out of Toronto Canada as a writer/voice performer, producer and media strategist producing advertising and entertainment content through Ontrack Communications. 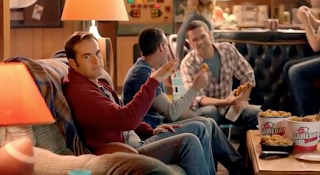 Creative Excellence Friday's first blog of the new year looks at Couchgating. It's a word. Look it up. At least that's how it's described in this new KFC viral piece that is starting the rounds. Will this show up on broadcast television? No doubt. But the beauty of the web allows a piece like this to be played with all the comic timing it requires to have maximum impact. Sometimes it just takes a minute and 12 seconds to say it. This is something we didn't have the luxury of in the pre-net days. I'm not trying to sound like one of those "in my day things were better" guys. Because I truly love the video canvas and lack of time restrictions. Bring it on. 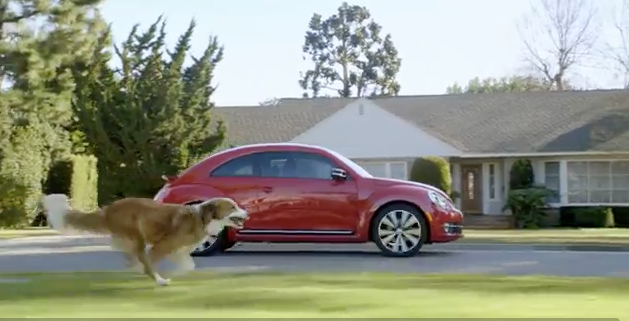 However, if someone did just happen to want to make a commercial in exactly 60 seconds, here's proof it can still be very effective without "cramping your creative style". Don't you love the performances? Perfectly cast. And who doesn't know someone like that; that guy/gal who comes around your cubicle with the sole purpose of having you entertain them because they're bored. A million views later, a lot of people obviously agree...ads can be entertaining as hell. Apple is back with their first new commercial of 2013 starring tennis venoms The Williams sisters. The problem is, the product they're promoting is getting the same barbs as Apple maps. It is buggy. At least that's the word according to legions of bloggers who have tried to use the app. I'll admit I blog from hear say only as I'm still holding on to my Blackberry. And waiting patiently for Rim's much touted Blackberry 10. But we're talking about Apple here. So, without further ado, here's Apples new commercial featuring Venus and Sarina and the voice of Jeff Daniels.